If you rely on business applications to simplify daily work processes and boost organizational productivity, then at some point in time you may want to shift these applications into the cloud. Don’t take this transition lightly - there are a myriad of factors to consider when migrating your data. The planning and processes involved in the transition often overshadow the fact that migrating to the cloud saves businesses money. Fortunately, with GRIT Technologies’ Office 365 specialists on your side, migration has never been easier. 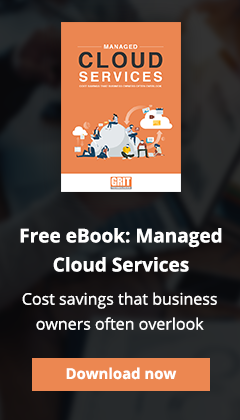 Save costs - Migrating your mailbox to the cloud eliminates server-side issues and costs. Be flexible - The ability to access data anywhere and anytime means you won’t be chained to your desk. Save time - We’ll manage the upgrades and patches, freeing you to focus on your business. Stay protected - Office 365 has built-in security and continuous compliance to keep your data secure. According to Microsoft, Office 365 now has over 120 million monthly active users. Ready to make the switch to Office 365?